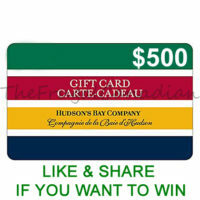 Free $500 Hudson’s Bay Company Gift Card To Be Won – Enter Contest GRAND PRIZE: one (1) $500 Hudson’s Bay Company Gift Card. Ends April 18, 2019. 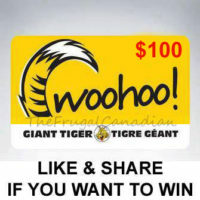 Free $100 Giant Tiger Gift Card Being Given Away – Enter Contest Enter for the chance to Win a $100 gift card to Giant Tiger. Giveaway runs until April 18, 2019. 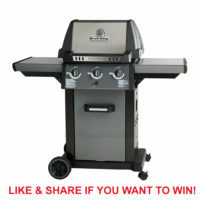 Free Broil King BBQ Being Given Away – Enter Contest Win a free broil King BBQ! Contest in effect from Thursday, April 4 to Wednesday, June 19, 2019.